I don't have a great relationship with green tea or matcha. I knew it was good for me in some way (It's green, it must be right?) but goodness me, I just couldn't get down with the taste of it at all. 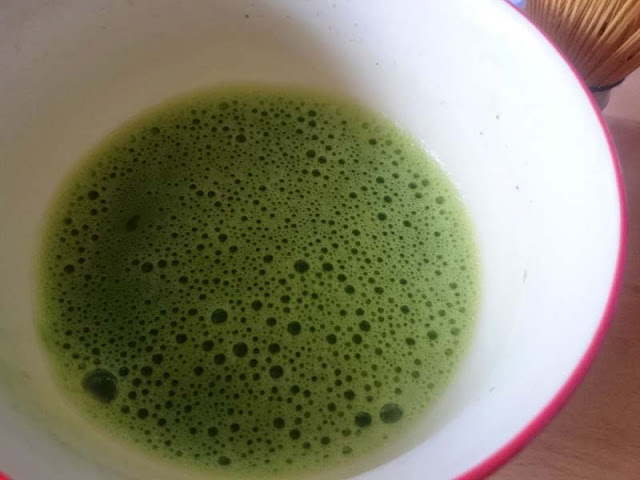 Turns out that not all matcha is the same and I was just pouring boiling water on it like a good old cup of builders, scorching the stuff so it was bitter and chalky as I didn't realise how to prepare it properly. Thankfully Brighton-based company, OMGtea (Organic Matcha Green Tea to you), have given me a bit of an education. What caught my interest was that the company comes from a really interesting background, it isn't just a tea company at all really. Founder Katherine Swift began research into green teas when her mother was diagnosed with cancer due to the beneficial health properties. 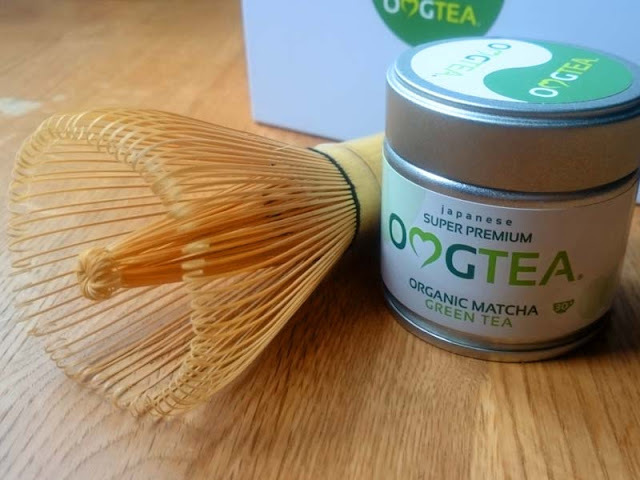 As well as sourcing and selling premium, traceable matcha tea, OMGtea will also be supporting scientific and medical research into preventing degenerative disease and extending health and life span. They do this by donating a percentage of profits from sales to the Healthy Life Foundation. 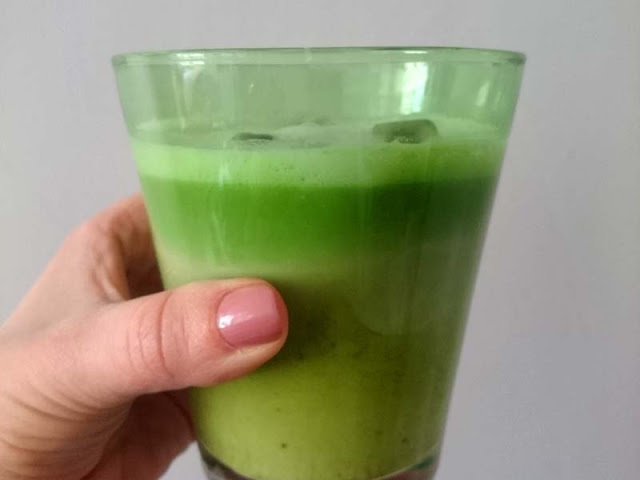 Matcha being high in antioxidants, calming and detoxifying is resonably common knowledge but I had no idea it burns calories and is anti-ageing. And Lord knows I could do with better memory too. If the claims stack up, then I'm prescribing myself a cup of this daily, sod the face cream. I mean, matcha has 137 times more antioxidants and 10 times the nutritional benefit of regularly brewed green tea. If you are interested in the science then Google away my friend. There are a few ways to prepare matcha, but the best way seems to be with the traditional bamboo whisk. I tried both a handheld milk frother and mini steel whisk but they just didn't break the matcha clumps as well as the fine bamboo. 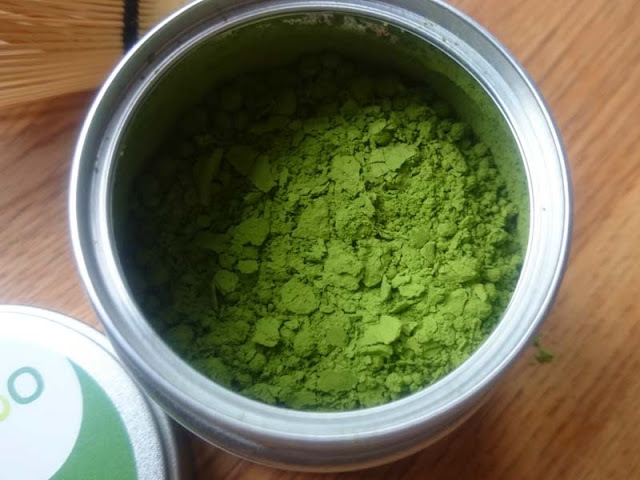 Measure 1 tsp of matcha powder and sift it into a small bowl (you may not have enough space to whisk in a cup). Add about a tablespoon of just off the boil water. Don't use boiling water! 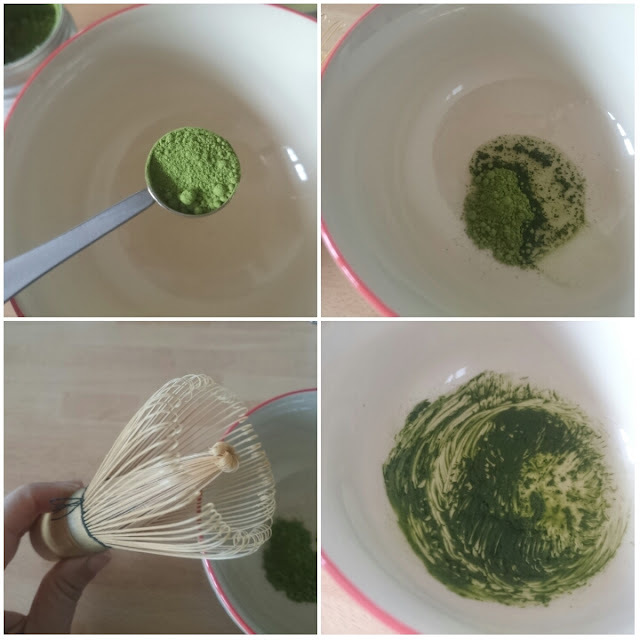 Using the bamboo whisk, mix the matcha into a paste using a "W" motion. Once totally smooth with no clumps (seriously, DO NOT scrimp this step), add a little more water and whisk again to create a froth, then top up with water to finish your drink. Although I like to drink this without milk, I also enjoy adding a dash of almond milk. For some reason milk alternatives taste better with matcha (almond, hazelnut, even coconut milks). The fattiness of cow's milk doesn't sit well with me for this. On these hot days, instead of adding more hot water in step 4, I'll use cold almond or hazelnut milk then use a handheld milk frother to create foam and finally add ice cubes for a chilled latte. SO GOOD. One of my favourite Jamie Oliver recipes is a Green Tea salmon with miso greens and coconut rice from his 15 minutes (or what I call, 30 Minutes and a Shedload of Washing Up) book. 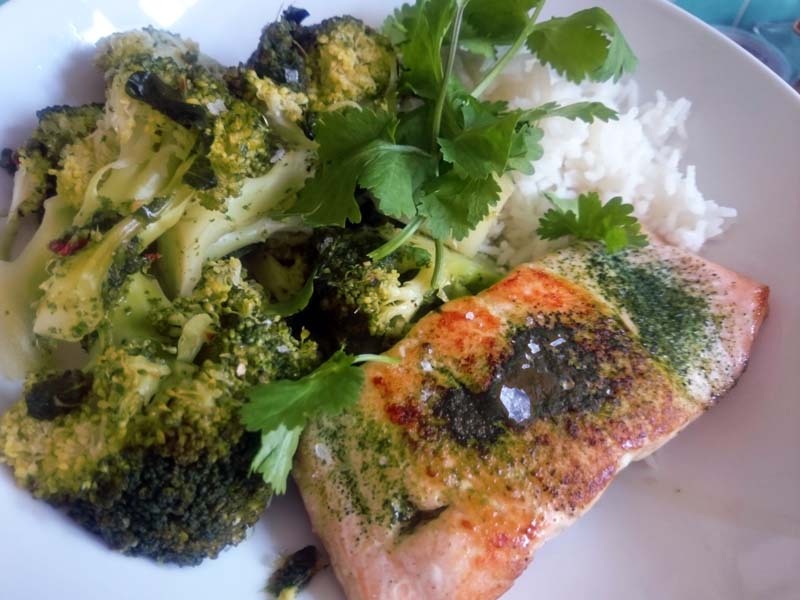 I used the OMGtea matcha instead and it definitely improved it. I'll definitely be looking at cooking with matcha a lot more, with its mix of earthy and zesty notes. I was sent samples for review. Words and thoughts, as always, my own.